So here goes nothing. As you can see above, Ryan Reynolds released a photo on Friday morning featuring himself reading a bedtime story to Fred Savage. This is an obvious ode to The Princess Bride, which featured Peter Falk reading a story to a much younger Savage, and skipping over the scary parts that were a bit too adult for the youngster. 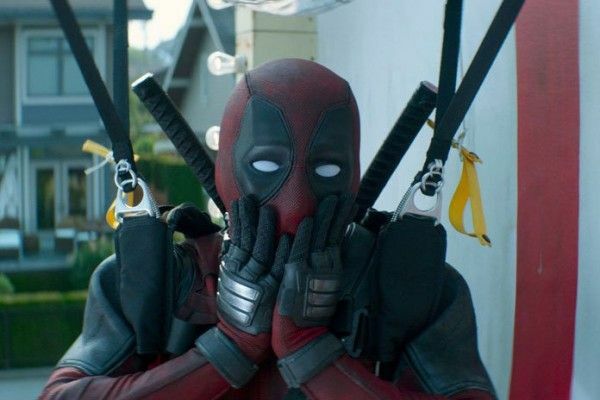 Over the last few weeks, sources have indicated to Collider that this new Deadpool movie will be PG-13, so one can surmise from the photo that Deadpool himself will skip over the more raunchy and gruesome parts of the Deadpool saga. It’s unclear whether the new Deadpool movie will simply recut footage from Deadpool 2, or whether it will incorporate the events of the first film as well. Either way, Fox must be feeling confident, as it gave this cinematic remix of sorts the release date vacated by Alita: Battle Angel, which moved to Feb. 14, 2019. Fox announced several other release dates, which you can read about here. This bold move has to be at least a little bit worrisome to executives at Warner Bros. and Paramount, which are set to release Aquaman and Bumblebee on the same day as this new Deadpool movie, which will also have to compete with a new Will Ferrell–John C. Reilly comedy (Sony’s Holmes & Watson) and a new Robert Zemeckis movie starring Steve Carell (Universal’s Welcome to Marwen). With the exception of Disney, whose Mary Poppins Returns is getting a jump on the competition by opening two days early n Dec. 19, every major studio is releasing a movie on Dec. 21, which is shaping up to be a bloodbath at the holiday box office. Savage is the former Wonder Years star who grew up to be a successful TV director, with credits on Modern Family, It’s Always Sunny in Philadelphia and 2 Broke Girls. He also stars on the Netflix series Friends From College. He’s represented by WME, which also reps Reynolds.